Also home to KGK's main office (on Level 2) which was built in 2014, Level One Venue is located on 38 acres of natural woodland land that has been in the Kuryla family since 1959. Perfectly sized for graduations, birthdays, reunions, meetings, baby showers, memorials and retirement parties guests are treated to something out of the ordinary – a natural parklike atmosphere all within the heart of the Hudson business district. The southern exposure allows for ample natural light both inside and out. During the warmer months, guests can enjoy themselves on the 3000-square-foot outdoor terrace, complete with sustainable landscaping, abundant flora and fauna and two natural ponds, . 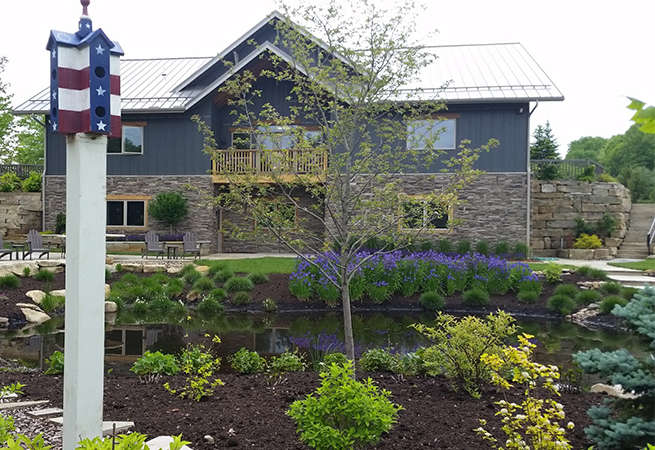 Prior to the existence of Georgetown Road office park and KGK Gardening & Design, Ken's family farmed this property and made a life around raising horses for recreational enjoyment during the early years. Lynn Kuryla, who was also an amateur photographer, poignantly captured the essence of the land and their farm life during the sixties. Many of his photographs have been professionally restored on large format canvases and now honor years’ past by gracing the walls of the event center. 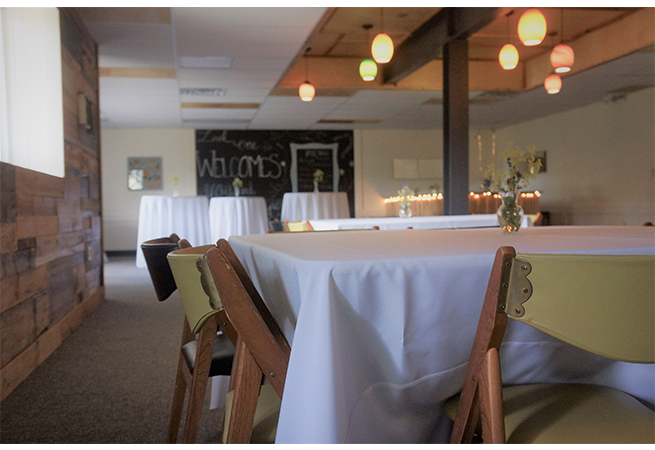 The space is perfect for smaller social celebrations, accommodating up to 70 guests. They offer many amenities, such as a 360-square-foot catering staging room, a 15’ built-in bar, tables and chairs, lighted grounds, and a handicap accessible parking lot. For more information or photos of the space visit Level One Venue on Facebook, Instagram on their website, www.LevelOneVenue.com, To book your event or tour of the facility call Joyce Kuryla at (330) 571-6667.